Landmarks of Britain is a series of silver bullion coins produced by the Royal Mint in the United Kingdom. The first coin was released in 2017 and features a design of Big Ben previously used on a £100 coin released in 2015. The second and third coins, both released in 2018, feature Tower Bridge and Trafalgar Square. The next coin is expected to portray Buckingham Palace. The coin has a maximum mintage of 50,000. The same designs appeared on a four coin proof set in 2014, these had trichromatic colour-printing and had a mintage of only 3,500 sets. ^ "Landmarks of Britain 2017 – Big Ben – 1 oz Silver Bullion Coin". royalmintbullion.com. Retrieved 6 October 2017. ^ "Landmarks Of Britain Bullion Series Debuts". coinworld.com. Retrieved 6 October 2017. ^ "APMEX World Coins – New Landmarks of Britain Series Brings London to Life". CoinWeek. Retrieved 6 October 2017. ^ "ROYAL MINT PORTRAIT OF BRITAIN COLLECTION SHOWCASES LONDON - AgAuNEWS". agaunews.com. Retrieved 2018-06-14. The Australian Silver Kangaroo is a one troy ounce silver bullion coin minted by the Royal Australian Mint in Canberra, Australia. They have legal tender status in Australia and are one of few legal tender bullion silver coins to change their design every year. This and their limited annual mintage may, unlike for many other bullion coins, raise their numismatic value over the value of silver used. The American Palladium Eagle is the official palladium bullion coin of the United States. 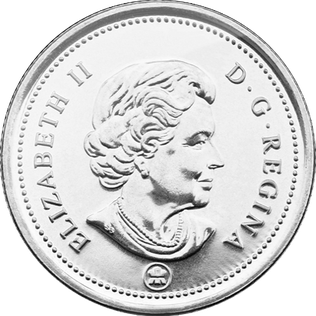 Each coin has a face value of $25 and contains 99.95% fine palladium. 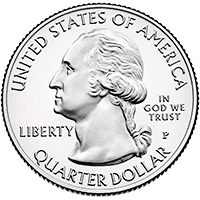 It was authorized by the American Eagle Palladium Bullion Coin Act of 2010 which became Public Law 111-303 passed during the 111th United States Congress. The Palladium Eagle uses Adolph Weinman's obverse design on the Mercury dime, Liberty wearing a winged hat, while its reverse design is based on Weinman’s 1907 American Institute of Architects (AIA) medal design.